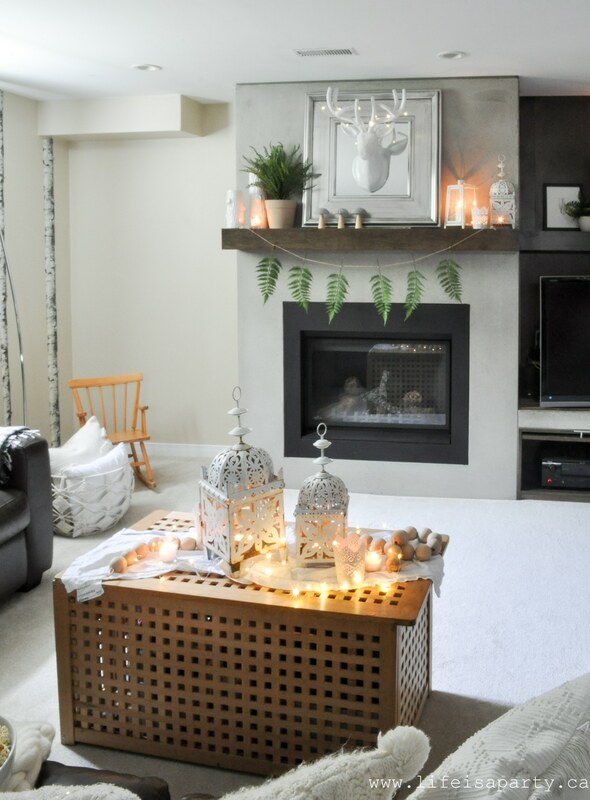 Cozy Boho Summer Living Room: lots of white textured pillows, white lanterns, candles, twinkle lights and woodland touches give this living room the perfect summer neutral boho look. 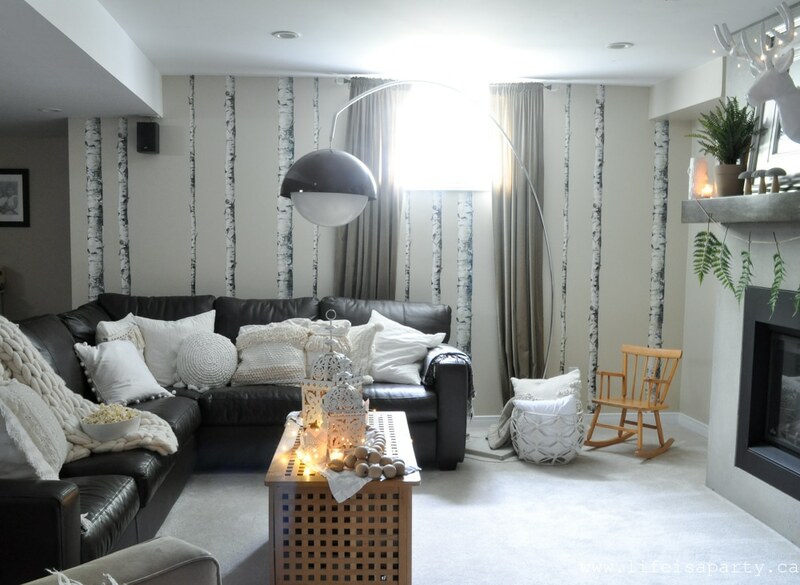 I wanted to give my basement living room/family room a little refresh for summer. 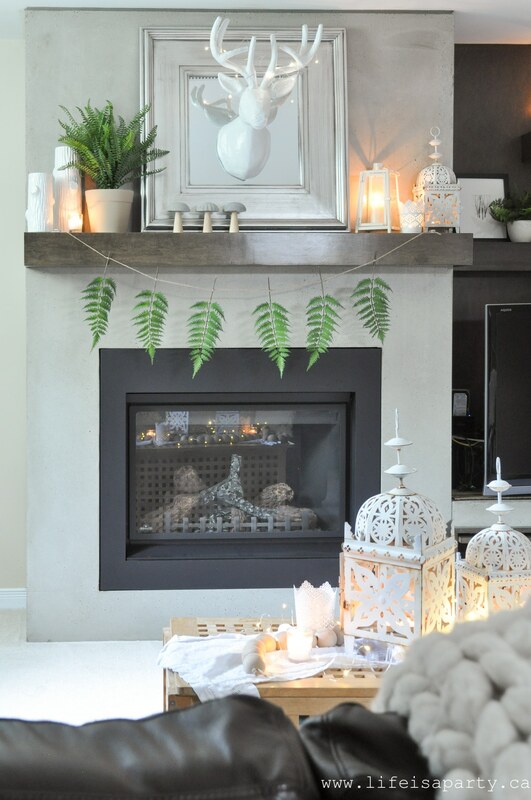 Although you tend to think of spending cozy nights down there with a movie and the fireplace on during the winter, it’s actually perfect for summer. It’s always so nice and cool and the perfect spot to beat the heat in the summer, especially after a long fun day in the sun. It’s a great spot to retreat too when it’s just too hot outside, or for the evening after enjoying the sun all day. This room really is one of my favourites. It’s the first room in this house that I really designed myself. I worked with my brother-in-law from Benjamin Woodworks to design the fireplace and he brought it to life. I still love the wood and concrete we used almost 10 years later. Back then wallpaper was just beginning to emerge again, and I used some wall decals to add the birch. 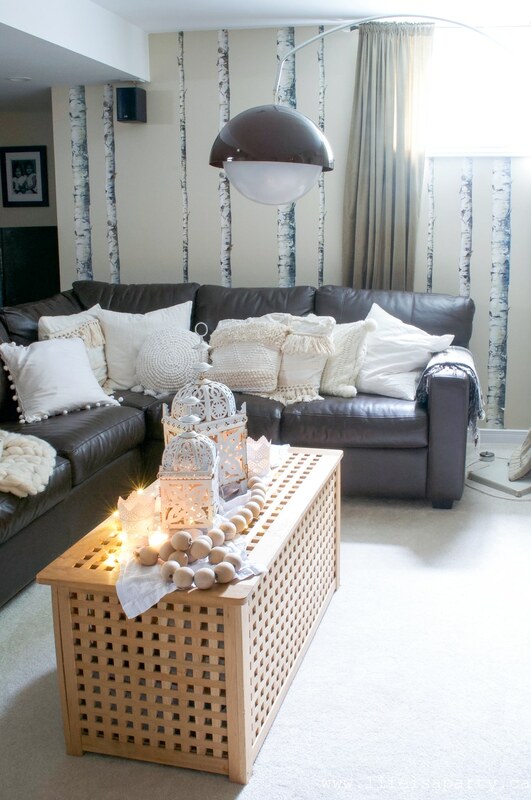 I still love the birch detail on the back wall, and it inspired this design. After adding lots of plants other places in the house, I knew I wanted to add some plants into this space. But with the birch it seemed like succulents and palms weren’t really the right fit. 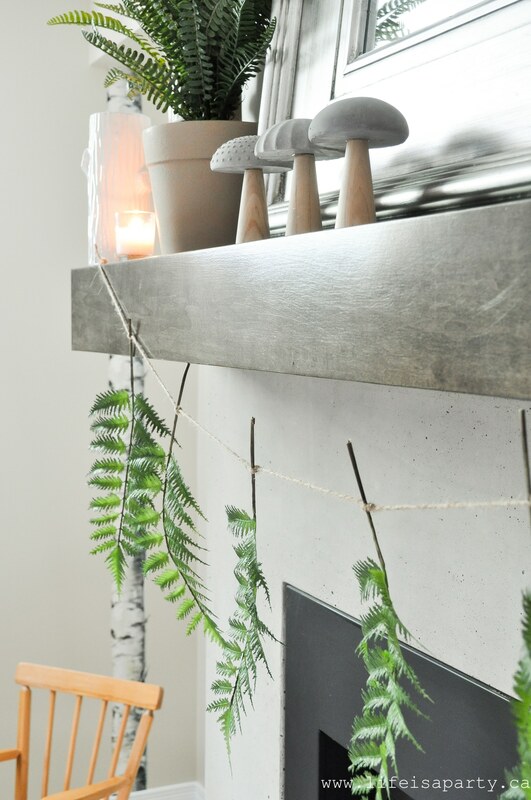 I took my cue from the forest, and added some ferns for a summer woodland feel. I was going for a kind of boho, summery, white, glamping kind of a vibe and I’m really happy with how it turned out. 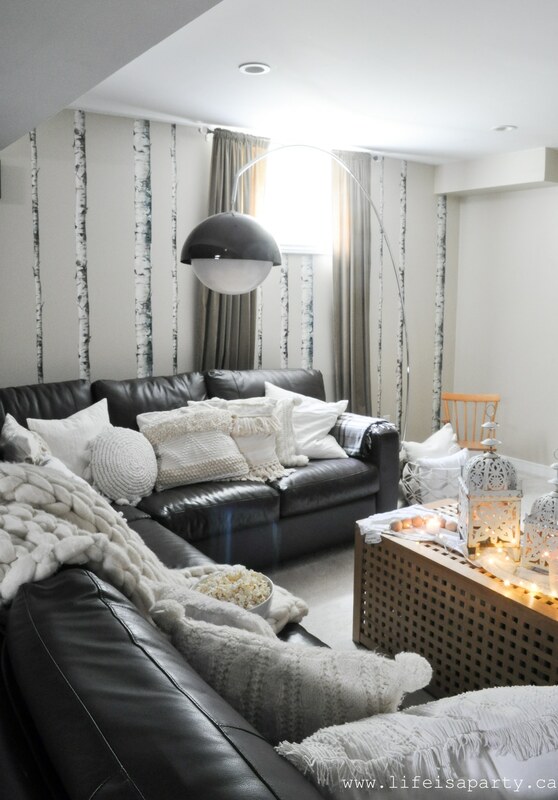 To freshen up the space I added in some boho inspired textured pillows. There’s a combo of some I made -see the tutorial here, some plain linen, some really textured ones with lots of fun pom poms and fringe. 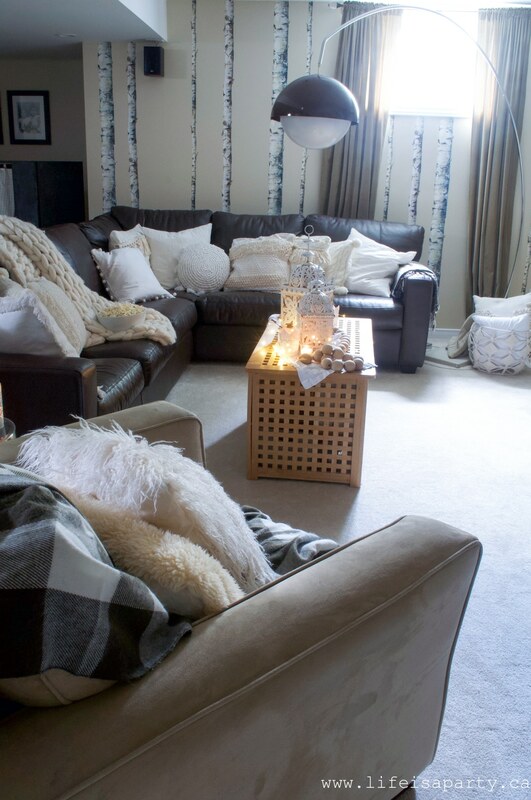 I kept it all white and cream, and I mostly used cotton and linen so it would feel a little lighter and fresher for summer. 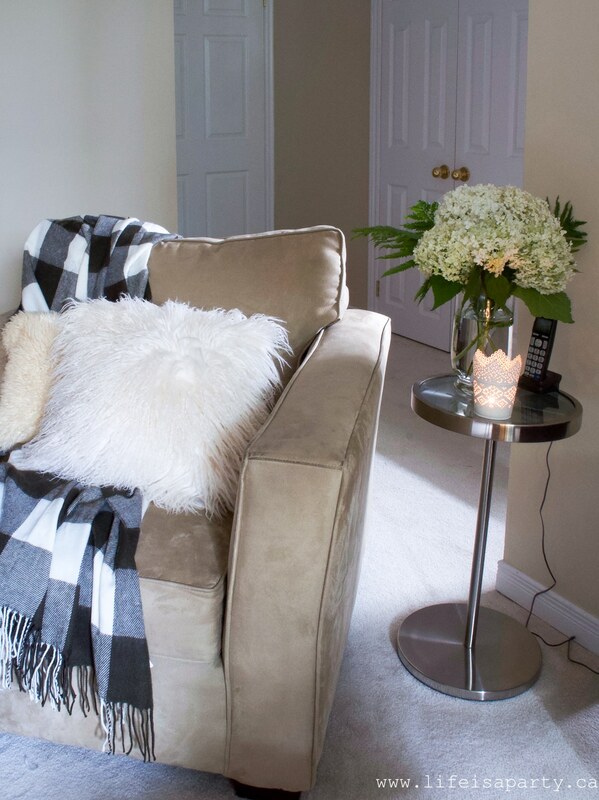 It’s amazing what a difference pillows can make to a space. 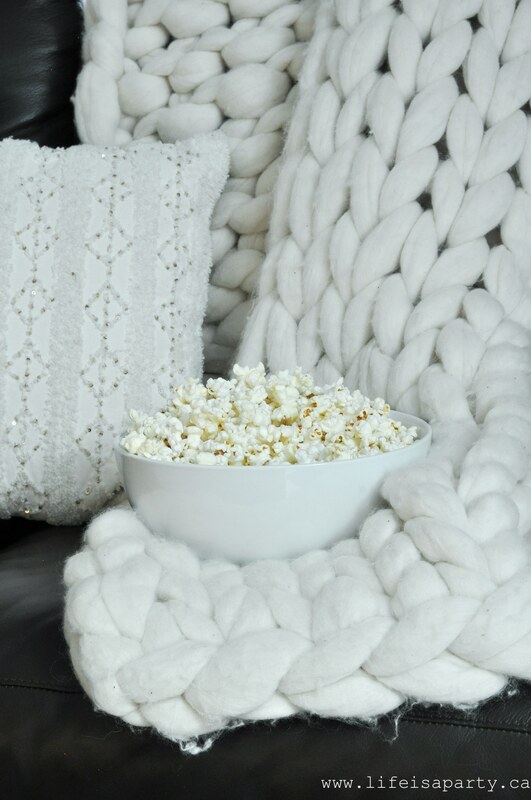 This really looks like the perfect spot to curl up and beat the heat with a movie and a bowl of popcorn in the afternoon. 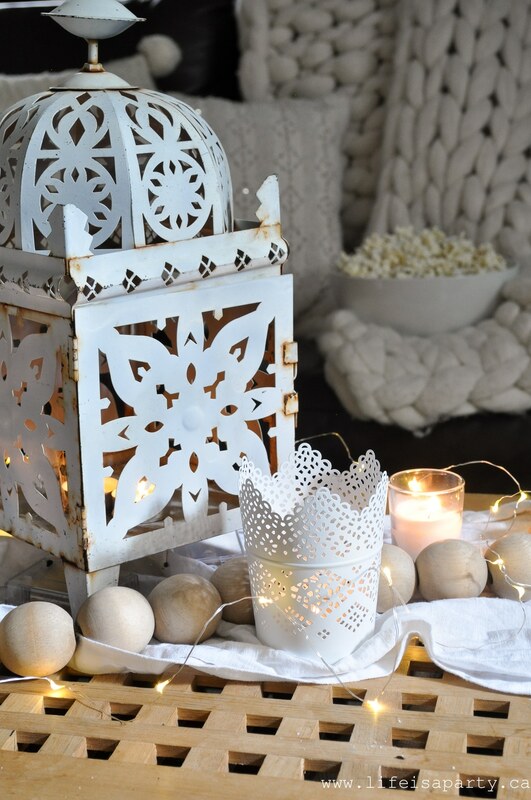 On my coffee table/toy chest I created a little twinkle light, candle, lantern wonderland. 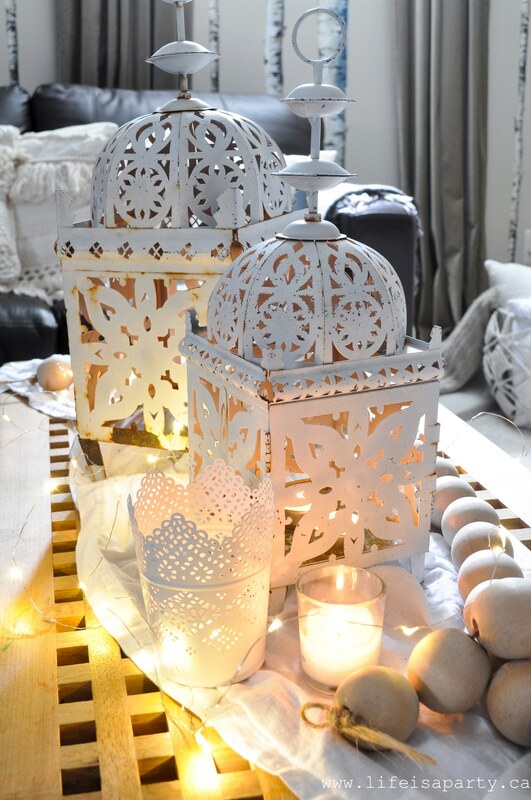 I used a combination of old lanterns, and lacey tea light holders. Then I wove a string of wire mini-lights around them. It’s like a magical fairy campground, but with no mosquitoes. So pretty much perfect. Over on the fireplace mantel, I kept my deer head friend, and added a few twinkle lights to his antlers. 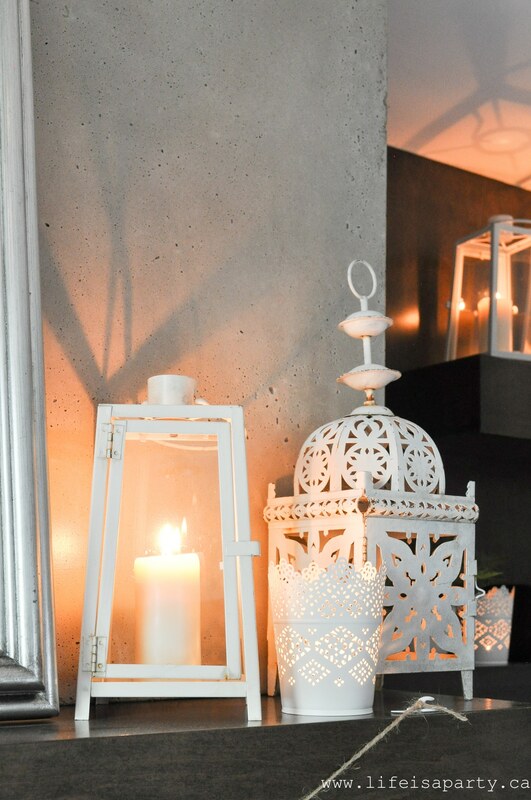 On the shelves there’s a combination of lanterns and candles that I already had. The fact that they’re all white really brings the space together. I added in a new set of little mushrooms. 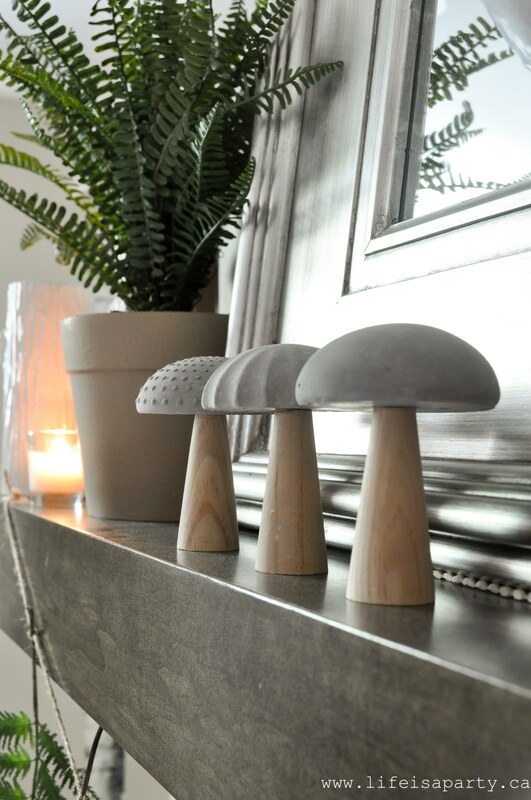 I love the combination of the wood and concrete, and mushrooms fit the forest woodland feel perfectly. 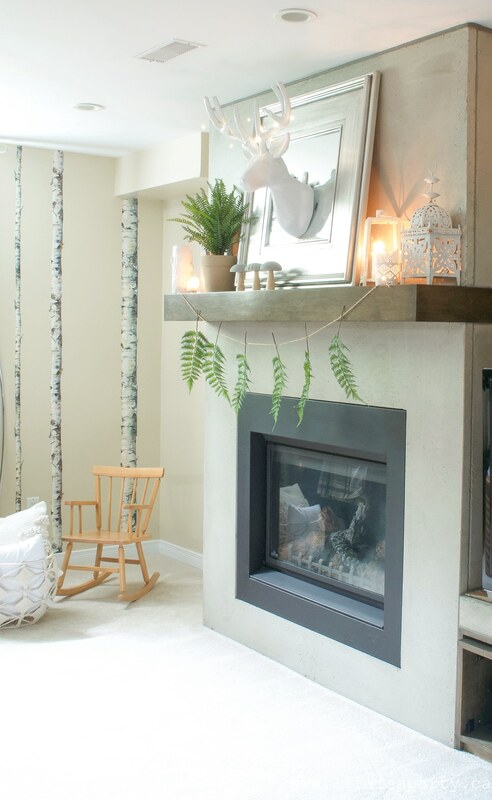 The fern garland is a real favourite in the room. 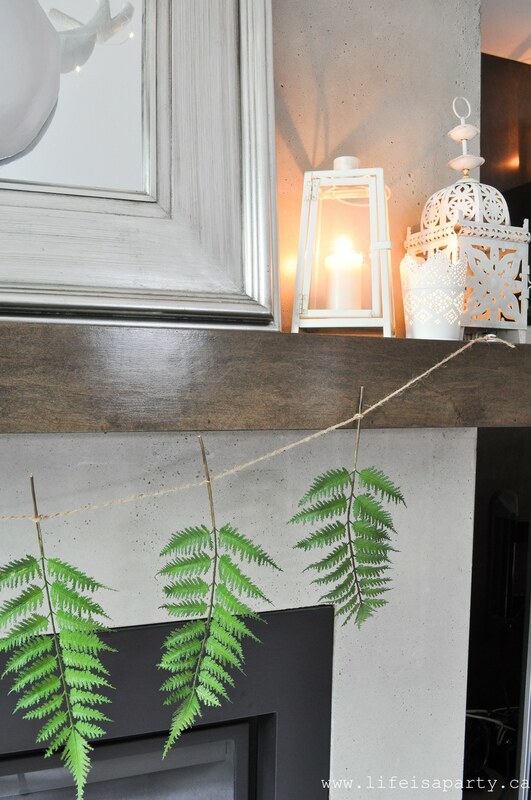 I made it with a couple stems of faux fern. I cut them down into individual pieces using some wire cutters, and used simple jute twine to tie them into a garland. So simple, and so perfectly summer forest feeling. I added in some real white hydrangeas and ferns from my garden. But all the other ferns are faux, so supper easy, and no need to worry about watering during summer vacation. I love how this space is feeling with just a few simple updates for summer. 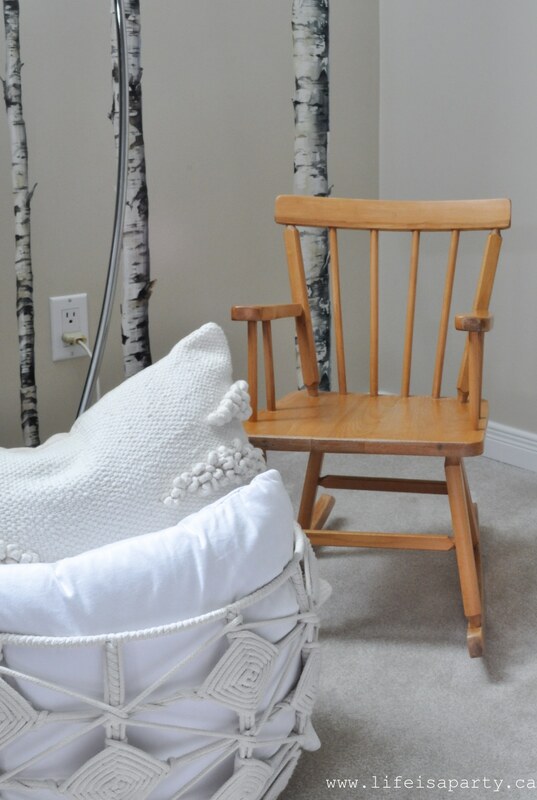 Nesting with Grace was sharing some updates for summer a few weeks ago, and commented on how many of us spend so much time and energy to decorate our spaces for fall and Christmas and forget about a few summer updates. 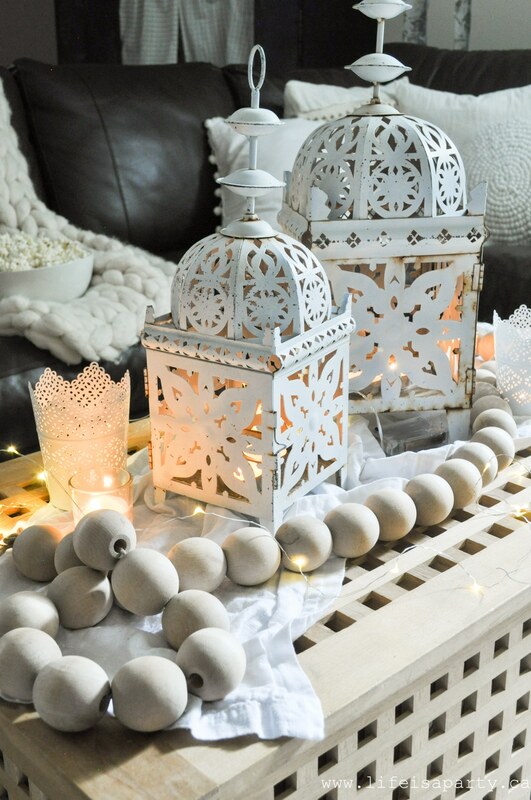 Do you add any summer touches to your decor? 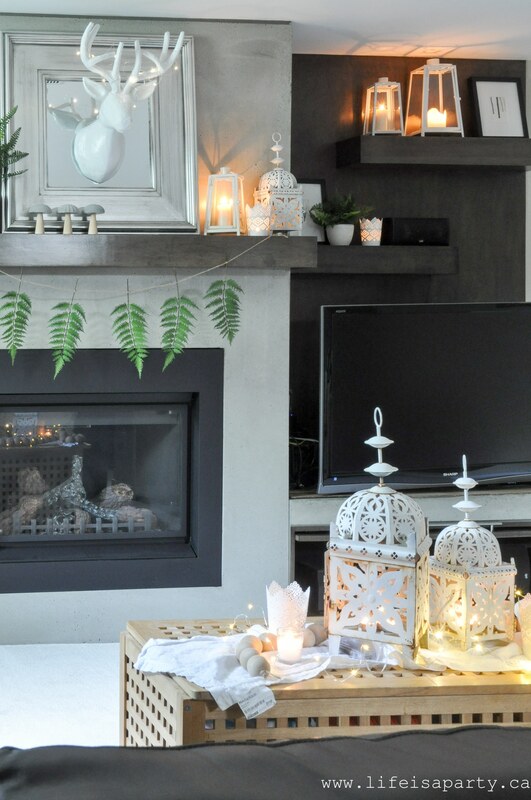 How do you feel about summer decorating? 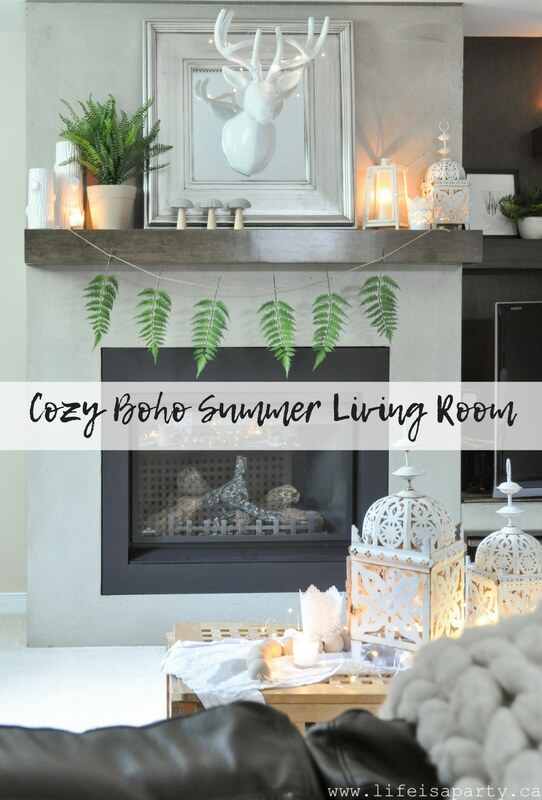 With a Cozy Boho Summer Living Room, life really is a party! Beautiful! Love love the changes! I am in the middle of changing things around in my house too. I just have to go through and clean out and rearrange my home from time to time it just makes me feel better. I just have to know how you got your deer head to stick to the mirror! Thanks for the inspiration! Hi Joanne, thank you so much for the lovely comment. I stuck the deer head to the mirror with one of those 3M Command hooks, that are removable. 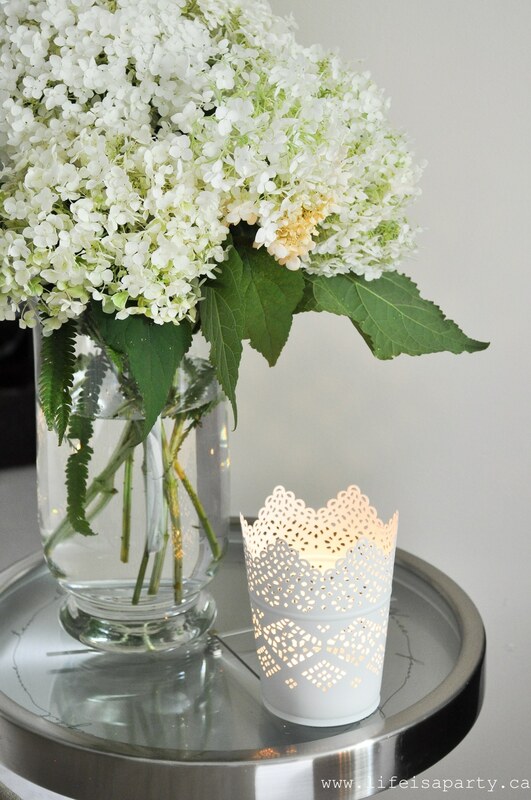 Love them, they work so well without leaving a mark on the wall….or mirror.